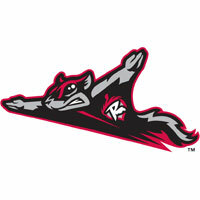 Richmond lefty Matt Gage hurled six innings Sunday afternoon, and C.J Hinojosa clocked a three-run homer as the Squirrels finished off a series win over New Hampshire, 4-1 at The Diamond. The Squirrels (45-61) were held hitless through the first five innings, but erupted for a four-run sixth, capped by Hinojosa’s second Double-A home run. Gage (6-6) pitched well in the win and allowed the one run on five hits in the outing. Starting pitchers Matt Gage and Conner Greene were both sharp in the series finale on Sunday afternoon. Gage was forced to work slightly more than Greene early on, throwing 20 pitches in each of the first two innings. Gage worked around a one-out single in the first and a pair of soft base hits in the second to keep New Hampshire off the board. Greene held Richmond without a hit through the first five innings. The game remained scoreless through the first four innings. New Hampshire finally broke the stalemate with a run in the top of the fifth. Emilio Guerrero singled with one out and advanced to second on a stolen base. Christian Lopes then fought a 3-2 pitch into shallow right field, plating Guerrero for the first run and a 1-0 lead. Greene was dominant through the first five innings on Sunday. The hard-throwing right-hander allowed just one base runner – a walk to Tyler Horan – through the first five frames. Greene authored 17 consecutive scoreless innings, dating to his start on July 20, until he returned to earth in the sixth inning. Jeff Arnold reached on a walk and Steven Duggar followed with the first Richmond hit of the day. Christina Arroyo added a single out to right field, loading the bases for C.J. Hinojosa. With Hinojosa at the plate, a passed ball allowed Arnold to streak home from third base, tying the game, 1-1. Hinojosa then ripped the game wide open with a three-run home run over the left field wall. Hinojosa’s second homer of the season gave Richmond a 4-1 advantage. Greene remained in the game for one more batter but was removed after he walked Carlos Moncrief. Tim Mayza entered and walked a pair but managed to strand the bases loaded. Greene (3-3) received the loss in the series finale. The blue Jays #2 prospect allowed four runs on three hits over 5/13 innings of work. Gage was unfazedby the run in the fifth and worked a 1-2-3 sixth inning to end his outing. The lefty allowed the one run on five hits over six solid innings of work. Gagestruck out five and walked none on 110 pitches in the win. Tyler Mizenko relieved Gage and recorded three ground ball outs to end the seventh. Rodolfo Martinez pitched the eighth inning and redeemed himself following a blown save Saturday night. Squirrels closer Chase Johnson converted his four save with an uneventful ninth. Richmond closes the month of July with a record of 16-11.